All trucks deserve to look good (I believe that's in the Constitution, or was part of the Warsaw Pact, but don't quote me). If you agree, then you need to check out TFP body side molding. Not only will these guys add a unique style to your ride, they're also budget friendly and easy to install. TFP constructs their body side molding using ABS plastic. They are available in chrome or paintable finishes in square of bullet ends. Each set of body side trim is designed to be vehicle specific, meaning that you'll get an excellent fit that looks like it belongs on your truck. Installation is a breeze with each set installing with automotive-grade 3M tape. So, what are you waiting for? 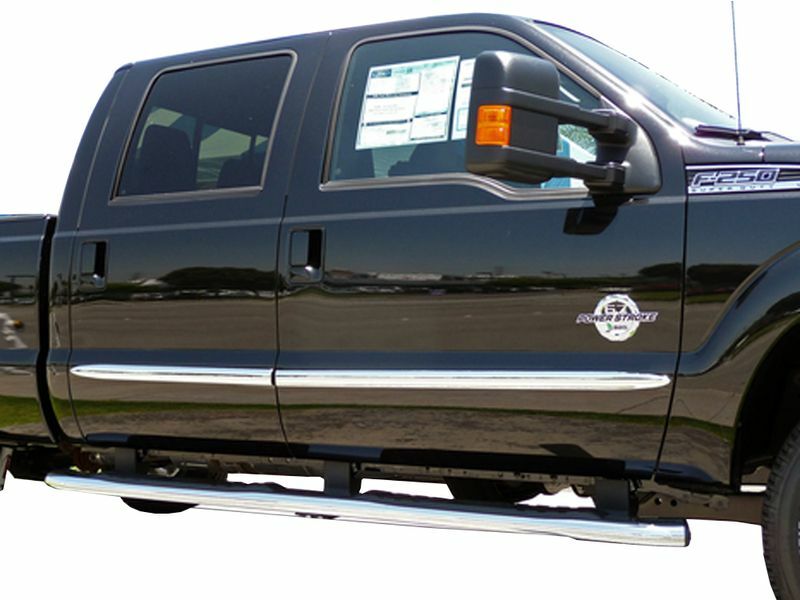 TFP body side molding is going to set your truck apart from the crowd without breaking the bank. Get your set today! Installing TFP body side molding couldn't be easier. Each piece of trim is installed with heavy duty, automotive-grade 3M tape. Ever tried to remove 3M adhesive? It doesn't want to move once it's been placed. If you have any questions, please give us a call at 877-216-5446.